Boston Public Schools Superintendent Tommy Chang (right). The City of Boston paid nearly $1 million in penalties to the federal government after an IRS audit revealed wide-ranging problems with the city’s payrolls, from schools paying stipends to individuals under the table to the city failing to deduct Medicare withholding taxes for many employees, according to findings released Tuesday by the city. In all, the IRS issued seven findings, four of which centered on mismanagement of student activity accounts at more than a dozen Boston schools. The three other findings focused on city payrolls. In addition to the Medicare deductions, the city was cited for a failure to deduct “deferred compensation” for some employees who do not qualify for the city’s pension plan and overtaxing some earnings. “The individuals responsible for the school activity funds had various reasons for not having any payments go through the payroll system including: ‘Those records were thrown out, I was unaware of documentation needed, responses are based on memory, no recollection of what payments were for, the person wasn’t a city employee, therefore not on payroll, I had no access to making a payroll payment, I don’t have the names, the work was not covered by our BPS budget, they were temporary positions,’ ” according to the audit. Over the next two weeks, the city will issue 1,200 corrected W-2 tax forms to hundreds of employees, encompassing the last three calendar years, city officials said. The IRS will not be seeking any financial penalties against individual taxpayers. 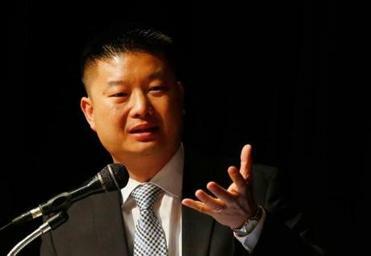 For months, Superintendent Tommy Chang has been keeping critical findings of an IRS audit from the public and the Boston School Committee. 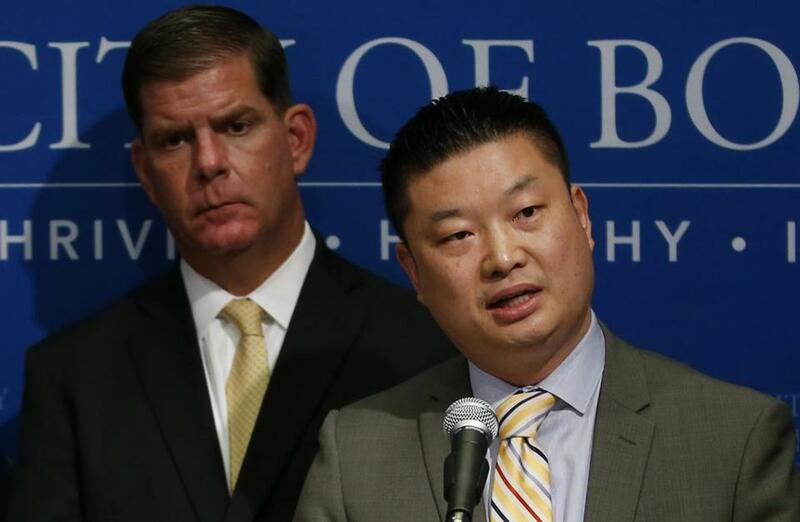 Both Mayor Martin J. Walsh and Superintendent Tommy Chang declined interview requests through spokesmen. The city released the findings regarding its payroll issues late Tuesday afternoon. Up until then, public discussion was focused on the school activity funds. Walsh, who contends he first learned of the IRS findings about the schools last week, said on WGBH radio that he has discussed the issue with Chang, but he initially struggled during the broadcast in describing his feelings about the findings. Walsh’s office had no explanation why the mayor didn’t know about the school audit findings, even though the city paid off the penalties for all seven audit findings, totalling $944,000, earlier this month. The biggest chunk was related to the nonpayment of Medicare payroll taxes, representing $716,865. Problems with student activity account spending resulted in about $30,000 in fines of the total amount paid to the IRS. City Councilor Annissa Essaibi George said Tuesday night that she was unaware the city had paid such a big fine to the IRS and knew only about the findings related to the student activity accounts, which were first reported by the Globe Monday. The IRS began conducting in 2016 what city officials have characterized as a routine audit of city finances. The School Department said it was contacted by the IRS in August of that year. The IRS presented the final findings and penalties on Oct. 17. The city negotiated with the IRS for two weeks and then the IRS closed out the negotiations on Nov. 2. The city issued the check on Nov. 7 — Election Day — which an IRS employee picked up at City Hall in person. The nonpayment of Medicare taxes involves dozens of employees whose employment dates to the early 1980s. They were initially exempt from Medicare withholding because the federal government did not make it a mandatory program until 1986, enabling them to be grandfathered in as exemptions. But these employees subsequently left the city and returned — losing their exemption. However, the city continued to classify them as exempt, resulting in the nonpayments for Medicare. The IRS ran into some of its biggest problems with the School Department. It examined student activity accounts at 16 schools for 2014 — the year before Chang became superintendent — and three-quarters of them had problems, involving $150,000 in spending, according to the audit findings. In several instances, the findings paint a picture of sloppy bookkeeping by the schools, including a lack of receipts. In other cases, schools failed to fill out necessary tax forms for payments made to vendors, creating confusion about whether the appropriate parties paid taxes. While the IRS looked at only a sampling of schools, the problems were so severe that they raised concerns about schools across the city, prompting BPS to take systemwide action. However, the School Department did not inform the School Committee until last week about the IRS findings. The audit examined accounts from 16 schools in 2014, finding problems at Boston Latin School, East Boston High School, the Beethoven School in West Roxbury, the Sarah Greenwood K-8 in Dorchester, Boston International High School, Harvard-Kent Elementary in Charlestown, the Josiah Quincy in Chinatown, the Curley K-8 in Jamaica Plain, the Joseph Lee School in Dorchester, and the Patrick Kennedy Elementary, the Donald McKay K-8, and the Samuel Adams Elementary, all in East Boston. The Sarah Greenwood tallied $19,916 in spending from the accounts, but threw away all the receipts so the IRS had no idea what the money was spent on, according to the audit. Latin School repeatedly used money from the student activity accounts that was in violation of state and federal rules, which restrict expenditures on extracurricular activities that enriches a student’s education outside of a classroom, such as paying for student clubs and field trips. Yet, according to the audit, Latin spent more than $15,000 on proctors, $4,000 for a coordinator of Advanced Placement programs, and other items that would typically be covered by a school’s operating budget. The Josiah Quincy School in Chinatown spent $5,800 on a recess coordinator with the student activity account funds — another item that should fall within the operating budget. Matthew Cahill, executive director of the Boston Finance Commission, said the violations are serious. “When you are dealing with expenditures that are federally regulated there is no leeway — you have to follow the rules,” he said. “The School Department needs to set clear policy in writing about what they can spend money on and what they can’t.” The School Department is in the process of tightening up oversight.